There’s nothing quite like a full English breakfast. 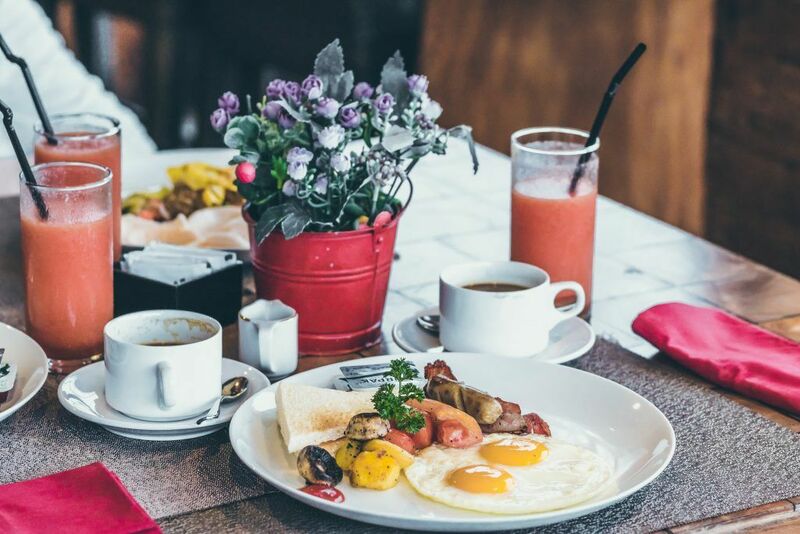 Probably the most iconic staple of British cuisine, the full English breakfast is the most comforting start to the day, no matter what nationality you are, where you’re from, or what you like to eat when you wake up in the morning. W. Somerset Maugham was even famously quoted as saying that you should enjoy breakfast three times a day, and with the English breakfast, we can definitely see why! One of the oldest dishes in the English cuisine – its been in existence since the 13th century, pioneered by the gentry, who thought it was their boon to provide their guests with gut-filling food at every opportunity, including breakfast; while there are few recorded instances of the breakfast ingredients used, the tradition carried on into the Victorian era, where the nouveau-riche merchants really took showing off your wealth to a new (and a delicious!) level. 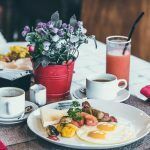 The traditional English breakfast grew exponentially larger, and introduced bacon and eggs as an addition to the full English (no, we don’t know what they did without it either!). The Edwardian era brought the full English to the middle class, starting a trickle-down effect of more and more people enjoying the wake-you-up-make-you-up start to the day that is the fry-up. Popularity of the full English boomed in the 1950s, with nearly half of the British population starting the day with it, and exporting it to other countries later on. Since then, it’s impossible to go to a country and not find a similar option, no matter how small that country is. 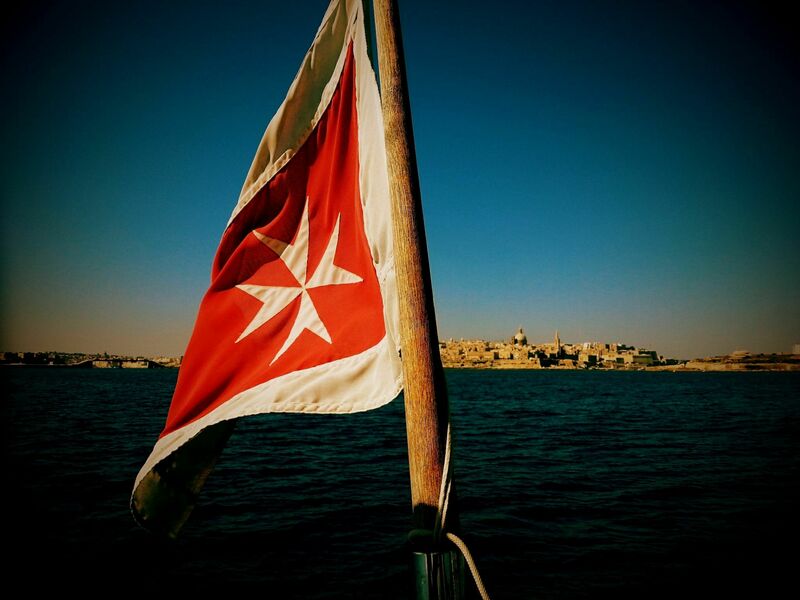 Malta is no different. Maybe owing to its 200 years of British colonisation, the full English is immensely popular in Malta, and features heavily on restaurant breakfast menus. 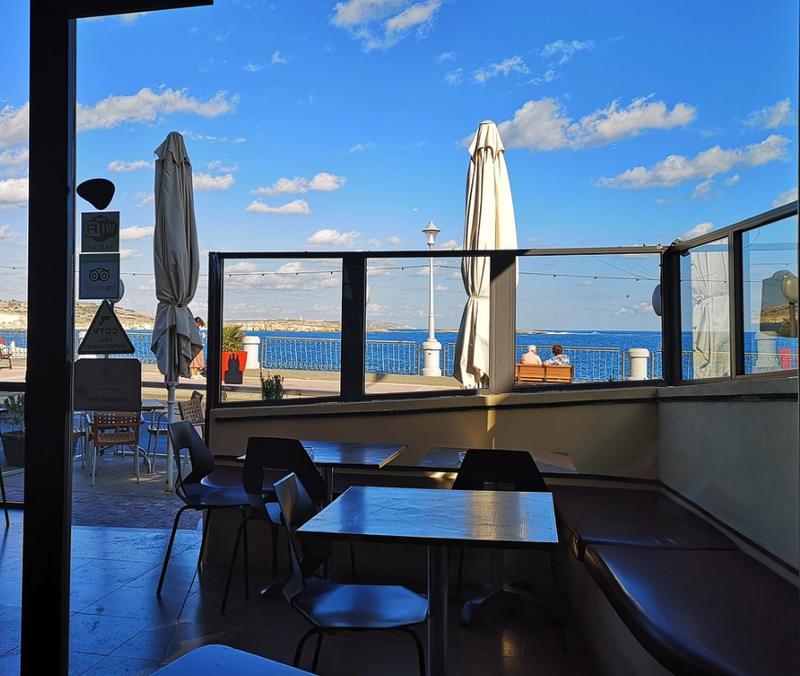 St. Paul’s bay is the ideal place to get an English breakfast in Malta, as it has a traditionally large English population, and if you’re going for full authenticity, affordability, and flavour, there’s little better place to start your fry-up findings than St. Paul’s bay. Be warned, though – though it might traditionally be English, Maltese-made English breakfasts differ slightly in taste with the addition of herbs. Have you ever had a full English breakfast with Maltese flavouring? If not, then there’s no better opportunity to try it than when you’re holidaying in St. Paul’s Bay! If you’ve already left your hotel on just a coffee and a cinnamon biscuit, or completely missed breakfast because you woke up late, these six places will serve you an unforgettable English breakfast. Sausages – preferably Cumberland or Lincolnshire; the key to an ideal breakfast sausage is that the meat be finely, finely minced, and include some kind of herbs. Toast – two slices is the minimum, four is the standard, six is too much toast to mop up your egg-yolk. Variations in bread are allowed provided that the toast be finely crisped for maximum dipping potential. Eggs – two eggs are the standard, but you can find some places which give you more. The tradition is to have them fried sunny-side up, with a runny yolk and just-cooked egg white, but you can also get them scrambled or poached, if absolutely necessary. Bacon – the best bacon is back bacon, experts agree, with the inclusion of belly and loin bacon. It needs to be thin, crisp, and with a little bit – not a lot! – of crunch to really drive home the flavour of the bacon. 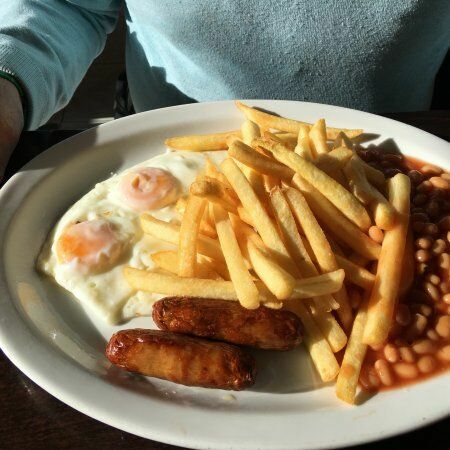 Beans – the addition of beans to an English breakfast is a little controversial: some people, like London chef Jerry Lee, and he’ll deride your choices as unnecessary, however beans are the perfect ‘liquid’ addition to the English breakfast, allowing for a certain level of both flavour and texture. Vegetables – mushrooms and tomatoes are a must for the English breakfast, but a little with goes a long way. 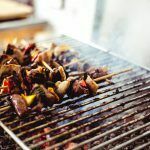 The tomatoes must be sliced in half and grilled until soft, and the mushrooms should still have a little bit of bite – but if it’s like chowing down on a mouthful of earth, they need to be re-cooked. Black pudding – as with baked beans, people are undecided about the inclusion of black pudding in an English breakfast: some people consider it traditional, some people consider it barbaric, and some people have no taste for it. Unfortunately, owing to European directives, it’s immensely difficult to find black pudding in Malta, and so your traditional English breakfasts could end up without. Now that we’ve established the ingredients to a full English, it’s time to talk about where to go in St. Paul’s Bay to get your fry-up fix. This tiny hole-in-the-wall place is just three minutes away from the Topaz Hotel, and serves up a breakfast you can customise to your liking – but if you’re going for the classic full English, here’s what you can expect: thick, steaming cuts of bacon, grilled and smoky, sausages glossy with fat and flavour, your choice of fresh eggs, a mound of grilled mushrooms, a silky-smooth grilled tomato sliced in half and sprinkled with salt and pepper, and crisply-fried hash-browns. How’s that for a good start to the morning? For big flavour and big food, go to the Koffee Cafe, which serves a €5 English breakfast designed to keep you going until lunch. 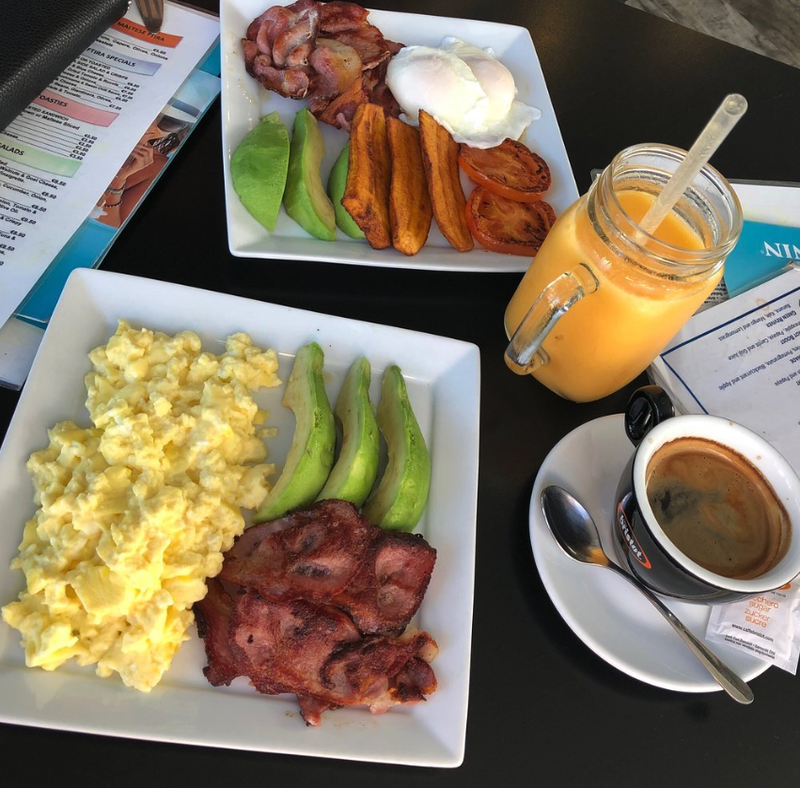 The Koffee Cafe’s English breakfast is heavy on the bacon and the eggs, so if those are your favourite part of the English breakfast, definitely keep this restaurant in mind when you’re out and about in St. Paul’s Bay. If you like your breakfast with a view, then the Oblico Cafe is the place for you! Between the stunning sight of the blue water, and the smell of the salt in the air, Oblico Cafe’s mere setting is designed to make you hungry, and all the more ready for their glorious English breakfast, which is served in a giant plate for and heaped high with food, including four pieces of toast, four giant pieces of bacon, sausages, eggs, tomato, and baked beans. Pair it with Oblico Cafe’s Italian-blend coffee, and take the rest of the morning easy: that’s what holidays are about. Victoria Restaurant might be better known for its amazing lunches and dinners, but the breakfast is nothing to sniff at! Their English breakfast features three thick rashers of bacon, two Maltese-favourite pork sausages, baked beans, two fried eggs, toast, tea or coffee. Best of all, their breakfast is served until 1PM, letting you lie in until your stomach gets you out of bed. If our late-night blog post hasn’t convinced you to visit Grannies’ yet, here’s another reason: their breakfast is huge, and under €3! So if it’s substance and economy you’re looking for, you can’t go wrong with Grannies, who has a dedicated continental chef to make sure your English breakfast is grilled, fried, and seasoned to perfection! You really can’t go wrong with any of the above places for breakfast, but if that still doesn’t sway you, consider this: English breakfast is the perfect fill-up meal to take before you start touring, and it’ll keep you going on for hours and hours without having to stop for a refuelling. While it might not be the healthiest option out there, you’re on holiday, so shouldn’t you treat yourself a little bit? There’s nothing like tucking into a full plate with the wind lapping around the Maltese landmarks and the water shushing gently in the distance. 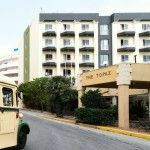 While the Topaz Hotel does serve breakfast at its stunning Emerald hotel, if you’ve already dined on the breakfast at the Topaz Hotel, why not branch out and have your breakfast with a side of a walk around St. Paul’s Bay? The restaurants are close to the Topaz Hotel’s central location (bar the first option!) and easy to get to on foot. 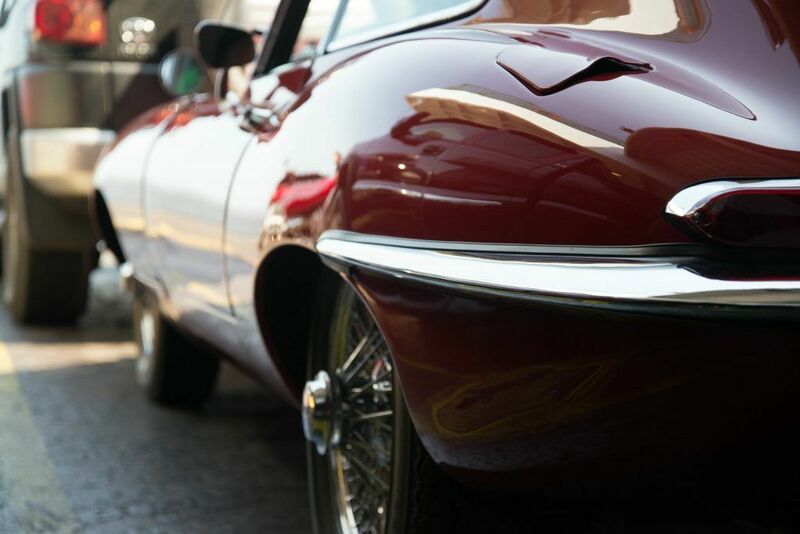 Now once you’re full up on breakfast, it’s time to sightsee around St. Paul’s Bay! 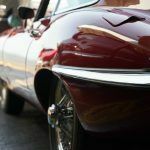 We’ve written a number of blog posts for you to help you on your journey, so get clicking and start reading!